First place in the National League West hung in the balance on Wednesday night, with the D-backs entering the day a slim half game behind the Giants. 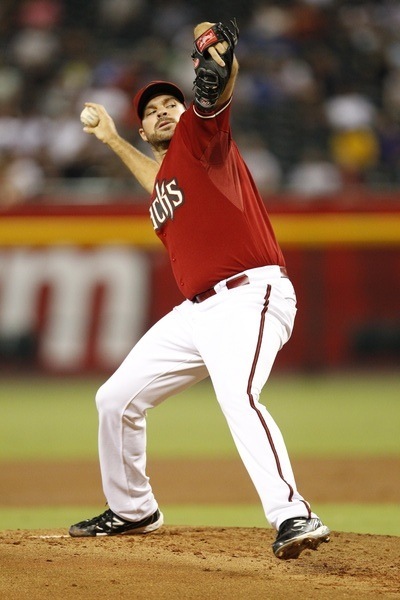 But with the Pirates handing San Francisco a 9-2 loss earlier in the afternoon, the D-backs and Giants were tied atop the NL West standings, as Josh Collmenter toed the rubber vs. the Astros in his 16th start of the season and sole possession of first place on the line. 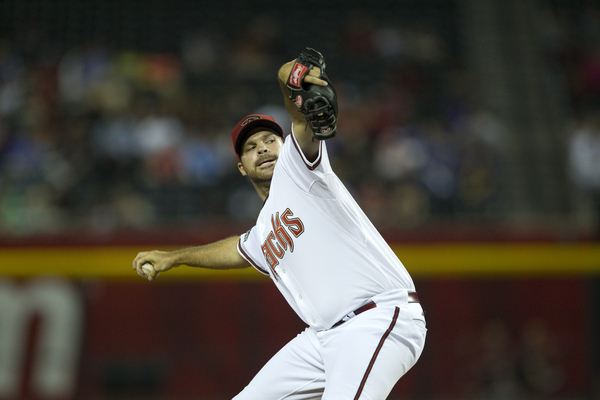 Josh Collmenter set a D-backs franchise record Thursday by throwing 12 consecutive scoreless innings as a starter to begin his career. The right-hander shut out the Braves through six frames, limiting the opposition to just two hits. After yet another solid outing, he now has an 0.69 ERA in 26 innings pitched this season, including six shutout innings against the Dodgers last Saturday. 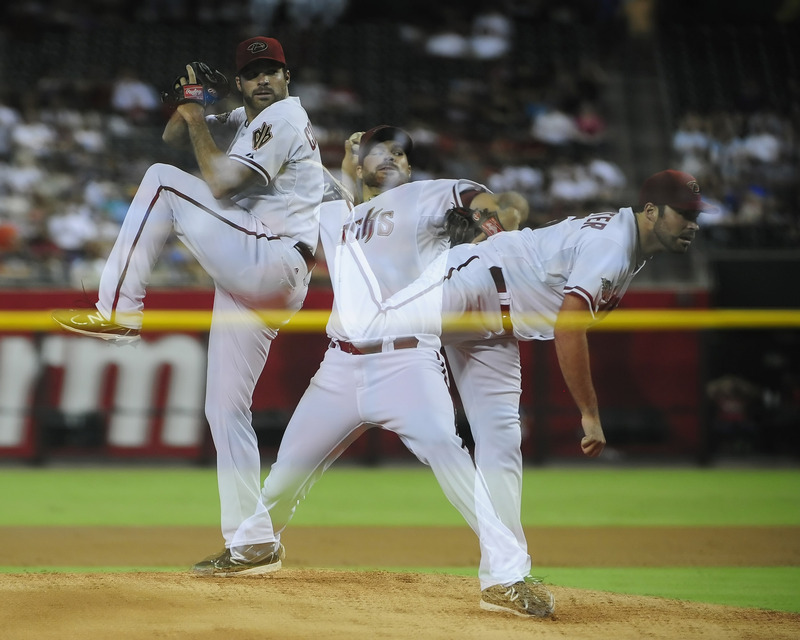 Collmenter got things started by retiring the first five batters he faced. After a double of the bat of Freddie Freeman in the second, Collmenter then retired four more in a row through the third inning. He ended his evening on a strong note by setting Atlanta down 1-2-3 in the top of the sixth. 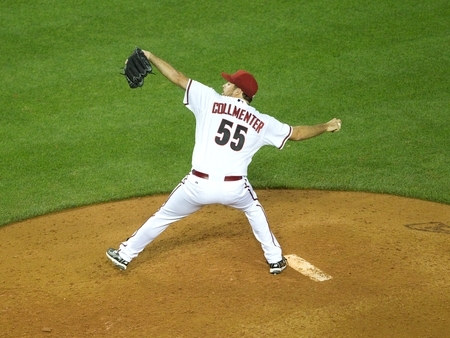 It was an efficient outing for Collmenter, who threw 76 pitches. Collmenter even collected his first career Major League hit in the third innings when he hit a high chopper to third base that Chipper Jones couldn’t corral. Thursday’s start was yet another strong performance for Collmenter in his rookie season. In Wednesday night’s game against the Atlanta Braves, second baseman Kelly Johnson hit the ball hard in each of his at-bats. In the opening frame, he laced a ground ball to first base but was retired by Freeman. Two innings later, Johnson grounded out once again, this time to second. His third plate appearance yielded a well-struck fly ball to deep center field that was corralled by Nate McLouth. Johnson laid down a sacrifice bunt in the seventh inning and was hit by a pitch in the ninth. Those rockets off the bat did not yield any hits. But in his sixth plate appearance, he finally broke through. With runners on first and second in the bottom of the eleventh, Johnson laced a Craig Kimbrel offering into right field to plate Josh Wilson and knot the score at 4-4. 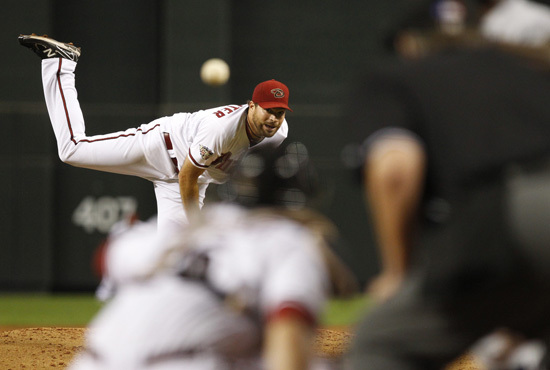 It was a crucial turning point for Johnson and the D-backs who entered the inning three outs from defeat. Against Kimbrel, Johnson went into the at-bat looking for a fastball to hit hard. Johnson’s single also advanced Roberts to third base, who scored one batter later on Justin Upton’s walk-off single. It was a marquee victory for the D-backs against a talented Braves squad. 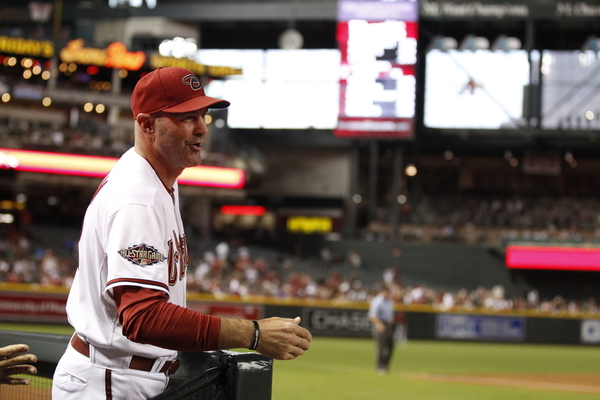 There were undoubtedly some familiar faces in the opposing dugout for Johnson. He called Atlanta home for the first four years of his Major League career.